Two great British scientists dominate the intellectual landscape of electrical science, and indeed all of physics, in the nineteenth century, Michael Faraday and James Clerk Maxwell. It would be hard to imagine two more contrasting personalities. Faraday was English; Maxwell Scottish. Faraday was the son of a poor blacksmith; Maxwell's father had inherited a substantial estate and hardly needed to practice the law in which he had been trained. Faraday had no formal education; Maxwell had the finest education available. Faraday never held a university position; Maxwell held professorships at three of the major British universities. Faraday was one of the most popular scientific lecturers of his day; Maxwell gained a poor reputation in the class-room. Faraday knew practically no formal mathematics; Maxwell was one of the finest mathematicians of his time. Faraday's research dominated electromagnetic experiments; Maxwell's electromagnetic theory. The contrasts between these men could be multiplied on and on. Yet they had one experience in common. Both were committed Christians. It is the purpose of this brief study to outline how the faith of James Clerk Maxwell and his science were combined and how they may have influenced one another. We should recall Maxwell's major contributions to science. They extend over a wide variety of fields, including optics, color vision, elasticity, and the behavior of the dynamical top. The work that established him as a foremost natural scientist was his analysis of Saturn's rings, in which he showed that they could not be rigid but must be made up of swarms of particles whose stability he analysed. Perhaps inspired by this earlier work, Maxwell was also the first person to apply the methods of probability to the analysis of the properties of gases. He invented the idea of a "distribution function" governing the velocities of the individual molecules of the gas, and proposed the "Maxwellian" (or sometimes "Maxwell-Boltzmann") expression for its equilibrium form. Maxwell went on to work out concrete predictions that could be obtained from this kinetic theory of gases, for example concerning the behavior of the viscosity, and he performed experiments to confirm the predictions. However, the work by which he is most remembered is his formulation of the equations that govern electromagnetism: Maxwell's equations. These led immediately to the prediction of electromagnetic waves and the consequent unification of electromagnetism and light. 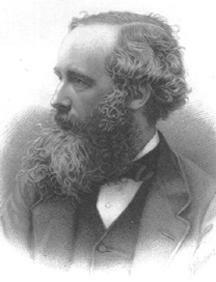 Maxwell's formulation of electromagnetic theory in differential form and his championing of the fundamental nature of the field in contrast to the action-at-a-distance theories of his day is, of course, the basis of essentially all of modern physics. Besides his personal contributions, Maxwell founded and built the Cavendish Laboratory of experimental physics at Cambridge University, which was to be arguably the most prolific physics department for at least the next fifty years. The reason why the normal reference is to James Clerk Maxwell, as opposed to just James Maxwell, is bound up with a highly complicated inheritance of James's father, John. The early Maxwells, owners of the enormous estate of Middlebie had attempted to protect the estate from dismantlement by their subsequent heirs through a variety of legal entanglements (entails), including the requirement that it could only be inherited by someone bearing the name Maxwell. Despite these extreme measures, in the eighteenth century, George Clerk [Maxwell], by an act of parliament, succeeded in selling off all but a relatively small part, the 1500 acre estate in Galloway (southern Scotland) to cover debts incurred in mining speculations his geological interests had led him into. So it was a much more modest estate that John Clerk inherited in the early nineteenth century, but one for which it was still well worth changing his name to John Clerk Maxwell. 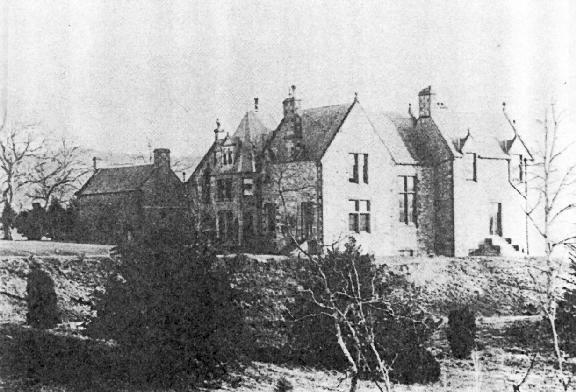 Thus, when in 1826 James's father, at age 36, married Frances Cay, they settled at the estate, to become known as Glenlair, and determined to build a grand manor house and revive its fortunes - an ideal outlet for John's scientific and technical interests. (He was a fellow of the Royal Society of Edinburgh). A daughter born to the Maxwells did not survive. But James was born on 13 July 1831 at 14 India St in Edinburgh. For the first eight years of his life, spent at the estate, a day's journey from the nearest city (Glasgow), his education was entirely in the hands of his mother. He seems to have shown an astonishing memory even in these early years. At eight he could recite long passages of Milton and the whole of the 119th psalm (176 verses). Indeed his knowledge of scripture was already very detailed; he could give chapter and verse for almost any quotation from the psalms. Clearly, from this early age, a devout Christian faith and demanding mental discipline were, for Maxwell, part of the same experience. By his own later testimony, James felt deeply the loss of his mother to cancer when he was eight. Undoubtedly one effect of her death was to draw James and his father even closer together, a bond of love and duty that defined much of Maxwell's early character. A local tutor was hired to continue James' education, but this was completely unsatisfactory. The tutor tried unsuccessfully to obtain his pupil's attention and obedience through various physical forms of coercion. We may surmise that the harassment was not all one way. A drawing by James' cousin Jemima Wedderburn shows James paddling his floating washtub across the pond away from an unflatteringly portrayed tutor, who is vainly trying to catch him. Figure 2: Maxwell escaping his tutor in a washing tub. This regime continued for two years until James' aunt Jane (Cay), on a visit to Glenlair realized what was going on. 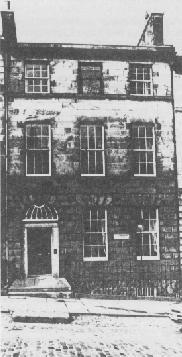 The tutor was dismissed and in November 1841 Maxwell was sent to the Edinburgh Academy, lodging with his father's widowed sister Mrs Wedderburn, at 31 Heriot Row. The Academy had been founded in 1824 by a group including Sir Walter Scott, to teach all the "branches of study which are essential in the education of a young gentleman". It was certainly one of the most successful Scottish schools of its day (as has been detailed by Goldman) with an emphasis on Latin, Greek and Mathematics. By all accounts, however, the science teaching was extremely weak. The star pupils seemed to know more than their teachers, perhaps in part as a result of the the `Philosophical Society' they formed to educate themselves. 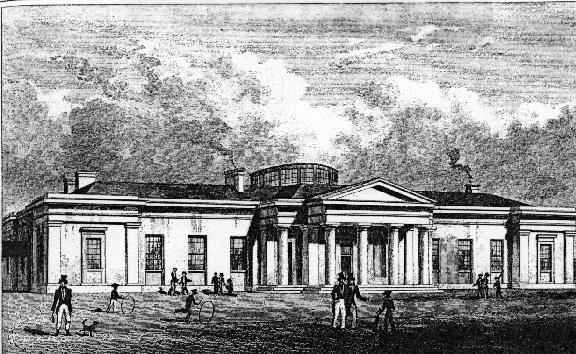 Figure 3: Edinburgh Academy, 1828. Maxwell seems to have been a misfit during his early years at the Academy. He suffered a serious ragging when he first arrived wearing rather original clothing designed by his father. His rustic Gallowegian accent and stutter marked him out, and he early acquired the nickname `Dafty', perhaps in reference to his quirky humor, (evident in letters) which must have rendered much of his conversation unintelligible to boys of slower wit. After two years of indifferent scholastic performance, Maxwell began to show his mettle. He gained friends. Lewis Campbell, future Professor of Classics at St Andrews University and his eventual biographer, moved in a few doors away (27 Heriot Row). P.G.Tait, future Professor of Natural Philosophy at Edinburgh University, struck up a lifetime's friendship, the pair working together through mathematical problems, which they referred to as propositions, or "props" for short. He rediscovered for himself the perfect geometrical figures. He invented a method for drawing "ovals", mathematical figures more complicated than ellipses, and through his father's influence at the Edinburgh Royal Society, saw the work published under the sponsorship of Prof James Forbes, of Edinburgh University. At age 16, in October 1847, Maxwell himself entered Edinburgh University. There, for three years, he would learn not only Physics under Forbes' lecturing (and also through more informal participation in the lab), but also the dominant theme of Edinburgh's course: Philosophy. In this latter subject, the most powerful influence seems to have been the "common sense" philosopher Sir William Hamilton, professor of Logic and Metaphysics (not to be confused with the Irish mathematician William Rowan Hamilton, whose name is perpetuated in Hamiltonian Dynamics). By all accounts, students at Edinburgh had substantial liberty for leisure or private study. From his letters to Campbell we can tell that Maxwell took advantage of both. This industry, and the breadth of this education are a critical part of Maxwell's greatness, especially his philosophical sophistication. Maxwell was by no means the narrow scientific technician portrayed in many images of modern scientists. Nor was he the shallow "generalist" produced by much modern Liberal Arts education of today. When he read Xenophon or Herodotus, it was in the original languages. Maxwell stayed longer than some of his contemporaries at Edinburgh, perhaps because it took those three years for his father to reconcile himself to James' desire for a scientific rather than a legal career. But in 1850 Maxwell departed Scotland for the foremost British institution of scientific education, Cambridge University. 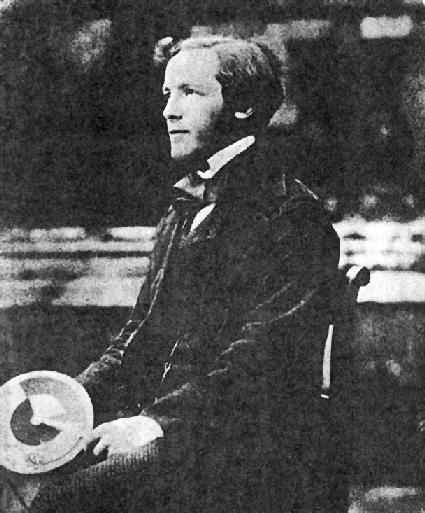 Figure 4: Young James Clerk Maxwell holding his color top. Maxwell started his Cambridge career at Peterhouse, the oldest college. Cambridge University had and still has a collegiate system of living and tutoring, in which there is substantial independence for the individual college foundations (which date back many centuries) while exams and lectures are centralized for the university as a whole. Despite substantial breadth of studies in classics and beyond, the chief objective of ambitious undergraduates was to become a "Wrangler", that is, to obtain first class honors in the mathematical tripos (examination series). It is remarkable how dominant mathematics was in the educational system of the time, but it should be remembered that Newton was Lucasian professor of mathematics in his day, just as Steven Hawking is today. 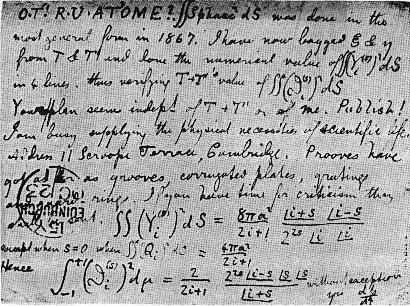 Mathematics at Cambridge for Maxwell encompassed all of physics as well. Maxwell soon moved to Trinity College for competitive reasons. His contemporary, E.J.Routh, at Peterhouse was his equal at mathematics and so a clearer field to a college Fellowship after the tripos was advisable. There was no such formidable competition at Trinity. I am also persuaded that the study of x and y is to men an essential preparation for the intelligent study of the material universe ... That few will grind up these subjects without the help of rules, the awe of authority, and a continued abstinence from unripe realities. I believe, with the Westminster Divines and their predecessors ad Infinitum, that "Man's chief end is to glorify God and to enjoy him for ever". This is, of course, the keystone of the Presbyterian statement of faith. Maxwell's intellectual understanding of his Christian faith and of science grew rapidly during his Cambridge years. He joined the "Apostles", an exclusive debating society of the intellectual elite, where through his essays he sought to work out this understanding. One reason for including so extensive (though still incomplete) a quotation here is that Tolstoy, one of Maxwell's modern biographers, and clearly someone with little sympathy for religion, grotesquely misinterprets this letter, calling Maxwell's conviction that only a Christian can purge his land of these holy spots, "a profession of faith which it seems is going to be `wilfully left unexamined'! Maxwell's religious convictions were clearly so deeply imbedded he was unconscious of the inconsistency". Tolstoy is plainly assuming, from his own materialist position, that religious convictions cannot be held once `examined', and that Maxwell is therefore bound to be inconsistent. But this is the exact opposite of the more direct reading of Maxwell's statements. Maxwell believes that Christianity is true and is indeed the one true "scheme", and because of that status can afford to open itself to the most complete examination, even of the most sensitive tabooed spots, in a way that no other system of belief can. The extent to which Maxwell in fact "ploughed up" his Christian beliefs and put them to the intellectual test, can be judged only incompletely from his writings. But there is plenty of evidence, especially from his undergraduate days, that he did deeply examine his faith. Certainly, his knowledge of the Bible was remarkable, so his confidence in the Scriptures was not based on ignorance. It was then that my uncle's conversation seemed to make such a deep impression on his mind. He had always been a regular attendant at the services of God's house. ... Also he had thought and read much on religious subjects. But at this time (as it appears from his own account of the matter) his religious views were greatly deepened and strengthened. This is a thoroughly orthodox Christian affirmation of dependence on God's grace for salvation from sin, but notice how Maxwell identifies his science as part of God's plan for this salvation. We can only speculate about what thoughts along these lines he and Rev Tayler had discussed during the days of his recuperation. Despite the extreme-sounding confession, Maxwell was, by habit, a very kindly person. A contemporary recounts how, when he was unable to read because of eye strain, Maxwell helped him and "often gave up an hour of his recreation time to read out to me some of the book-work I wanted to get over". Maxwell was strongly influenced by Frederick Denison Maurice, a former "Apostle" and the founder of the Christian Socialist movement. Maurice became a cause célèbre in 1853 by being deposed from his position at King's College London for heresy. (To do with the meaning of the word eternal and whether religion must of necessity be obvious to the unlearned as well as the learned.) Maxwell did not adopt Maurice's theological positions as a whole, but he did become convinced of one of Maurice's key tenets, that the dehumanization of the working class in an industrializing society was to be prevented by a cooperative approach in which workers were given greater influence though education. Maurice and his friends set up Working Men's Colleges, and Maxwell, seeing this as a vital Christian service, taught Working Men's classes weekly till at least 1866. It was thus as a young man of remarkable commitments that Maxwell passed his final exams as Second Wrangler, ceding the first position to his friend Routh but sharing with him the prestigious Smith prize. The year 1855 brought appointment to a Fellowship at Trinity, the cares of nursing his father through illness (though John was to die the following year), and, at its end, the publication that launched Maxwell's electromagnetic researches: "On Faraday's lines of Force". This paper, by drawing extensive mathematical analogies with hydrodynamics, helped to make respectable Faraday's "field" approach to electricity, and showed how to express magnetic induction in the differential form1 that was later to prove the key to electromagnetic waves and indeed all of field theory. His Fellowship at Trinity was brief. 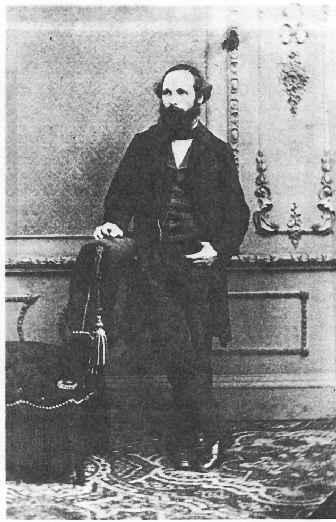 On 30 Apr 1856 Maxwell heard from his sponsor, Forbes, that he was appointed Professor of Natural Philosophy at Marischal College, Aberdeen. One of the most important of Maxwell's experiences at Aberdeen, where his research was dominated by Saturn's rings, must have been meeting and eventually marrying Katherine Mary Dewar, the principal's daughter. Not much is known about Katherine herself, and Maxwell's later biographers conclude from the reticence of Campbell that she was not well liked by Maxwell's friends. However, James' relations with Katherine give some useful insights into his spiritual life. Campbell gives us a few extracts from letters during the last few months of their engagement in which, despite protesting his lack of skill in scriptural exposition, Maxwell writes insightful explanations of passages from Galatians, Ephesians and Philipians that are almost miniature sermons. He refers to a Sunday school class he taught while visiting Lewis Campbell. Plainly Katherine and James' common Christian faith was an important bond from the beginning of their marriage. Tolstoy, from his materialist viewpoint, is unable to understand that such spiritual discourse might be a natural aspect of the continuing relationship of Christian man and wife, but it clearly was for the Maxwells. 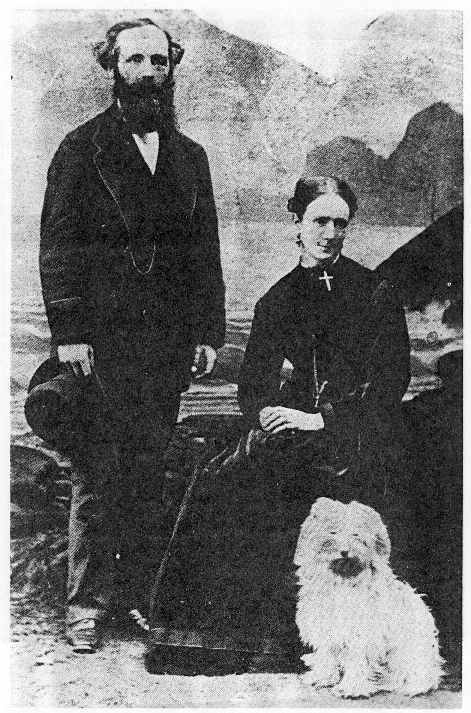 Figure 5: Maxwell and his wife, Katherine, 1869. Another aspect of Maxwell's character that is revealed in his marriage is the kindness and compassion with which he nursed his wife through frequent indispositions. By the sound of it, she was something of a hypochondriac, but James was ever the caring husband and frequently sat up all night to tend her, even during his own final illness. She in turn nursed him through a dangerous attack of small-pox, and later participated in some of his experiments on color vision and on measurements of the temperature dependence of gas viscosity, apparently acting as coal stoker for the higher temperatures required! In 1860 the two Aberdeen colleges were merged, and despite his seniority, Maxwell was out of a job. This was all to the good because he was almost immediately appointed to the chair at King's College London, where he remained till 1865. Figure 6: Maxwell at King's College London. In the inaugural lecture, which new professors traditionally gave, Maxwell discourses on various philosophical aspects of science, for example "whether the fundamental truths of Physics are to be regarded as mere facts discovered by experiment, or as necessary truths, which the mind must acknowledge as true as soon as its attention has been directed to them." [On balance, Maxwell implies the latter, but as in much of his philosophical writing, he is far from clear about it.] He also refers to an idea that he would later develop in more detail, "that every atom of creation is unfathomable in its perfection". Each molecule, therefore, throughout the universe, bears impressed on it the stamp of a metric system as distinctly as does the metre of the Archives at Paris, or the double royal cubit of the Temples of Karnac. None of the processes of Nature, since the time when Nature began, have produced the slightest difference in the properties of any molecule. We are therefore unable to ascribe either the existence of the molecules or the identity of their properties to the operation of any of the causes which we call natural. On the other hand, the exact equality of each molecule to all the others of the same kind gives it, as Sir John Herschel has well said, the essential character of a manufactured article, and precludes the idea of its being eternal and self-existent. This is a somewhat unfamiliar inverted form of argument from design. Maxwell is saying that molecules are perfectly identical to one another and this suggests that they are, as it were, manufactured according to an intelligent plan. Maxwell explained himself in more detail later in a letter "What I thought of was not so much that uniformity of result which is due to uniformity in the process of formation, as a uniformity intended and accomplished by the same wisdom and power of which uniformity, accuracy, symmetry, consistency, and continuity of plan are ... important attributes...". This was not an original idea of Maxwell's and he gives the original Herschel reference, dated 1851, but it is interesting to realize that Darwin's "Origin of Species" was first published in 1859, a year before Maxwell's first oblique reference to molecular perfection. Clearly, he was well aware of the extent to which the fashionable liberal academics' argument from design, based on the perfection of biological adaptation, was undermined by discoveries pointing to evolution. And though Maxwell was no theological liberal but accepted the revelation of God through Jesus Christ, he is pointing to a different perfection in creation, one which he emphasizes cannot be attributed to evolutionary adaptation. It is an intriguing thought, not that Maxwell was strictly correct that atoms are immutable, but his approach is more to appreciate the ordered uniformity rather than the peculiarity and complexity of nature, as signs of the creator. Beyond that, Maxwell's modest claims for the idea are, in my mind, a model for how a scientist could and should draw attention to the aspects of his science that point to matters beyond his scientific competence. There is in this street a Baptist, who knows his Bible, and preaches as near it as he can, and does what he can to let the statements in the Bible be understood by his hearers. We generally go to him when in London, though we believe ourselves baptized already. This confession of Maxwell's willingness to go where the Gospel is clearly preached apparently embarrasses Campbell, who speculates (gratuitously) that the habit was a concession to Mrs Maxwell's "simple Presbyterian" experience. This seems an unlikely explanation. The tone of Maxwell's remarks leaves little doubt that his only awkwardness about attending the chapel arose from the doctrinal differences concerning the validity of infant baptism. That Maxwell did not allow this to discourage him is another indication that in spiritual matters he followed his own conscience above all. In 1865 Maxwell "retired" from his London position. It had been an extremely productive tenure, seeing much of his experimental work on gases to its fruition and the publication of "On Physical Lines of Force" (in three parts 1861-2, introducing the displacement current and predicting electromagnetic waves travelling at the speed of light) and his equations in 1865, but he wanted to complete the building of the house at Glenlair, as a "sacred trust" to his father. His independent wealth permitted him to resign from the fairly heavy burdens of teaching and devote his time to the estate, to some continental travel, to an extensive correspondence, and to writing his masterly Treatise on Electricity and Magnetism (1873). The house was finished in 1867, but was just one aspect of being "Laird" of the estate. Other aspects that were pursued assiduously, by both James and his father before him, were the nightly reading of the Bible for the servants, and an almost proprietorial sponsorship of the church at Corsock, the nearby village. His correspondence was most notably with William Thomson (later Lord Kelvin) and his school friend P.G.Tait. Thomson and Tait published their textbook Treatise on Natural Philosophy in 1867 and were henceforth referred to in their letters as T and T¢. By a later notational coincidence, in a work of Tait's, Maxwell's initials appeared in the equation JCM = dp/dt. Thereafter, in the arcane insider language of their abbreviated correspondence, often conducted on postcards, Maxwell became dp/dt. Figure 8: Postcard concerning mathematics, from Maxwell to Tait. Another running gag, based on the coincidence that the Archbishops of York and Canterbury at the time were also called Thomson and Tait, transformed T and T¢ into "The Archepiscopal Pair". A quicksilver wit was characteristic of Maxwell's correspondence, showing his fertility of imagination and convoluted, often poetic, sense of humor. The time at Glenlair enabled Maxwell to put in order and publish his electrodynamic theories in their most comprehensive form. It also saw the introduction of his since famous "Demon". The retirement came to an end eventually when Maxwell was persuaded to accept (in 1871) the newly created Cavendish professorship of experimental physics at Cambridge - only after Thomson and Helmholtz had turned it down. The job was, for the first few years at least, predominantly administrative. The Duke of Devonshire's bequest funded the building of the Laboratory, but Maxwell had to manage the construction itself. Probably his Glenlair experience was an ideal background for this task. Certainly his conscientious attention made it a great success, and his organizational abilities more than made up for his weakness as a lecturer. Perhaps he felt it a duty of the position also to spend much of his time on editing the scientific papers of Henry Cavendish - a major work of scientific and historical scholarship. Maxwell had become a public figure, even though his science was still greatly under-appreciated, and so it was not surprising that he was consulted for example by the Bishop of Gloucester and Bristol, about his ideas relating his faith and science. The Bishop is wondering whether the creation of the sun after the creation of light in Genesis 1 can be harmonized by regarding the latter as referring to "primal vibrations" [i.e. the aether]. Maxwell replies to this rather naive question with politeness and great wisdom. ... there is a statement printed in most commentaries that the fact of light being created before the sun is in striking agreement with the last results of science. If it were necessary to provide an interpretation of the text in accordance with the science of 1876 (which may not agree with that of 1896), it would be very tempting to say that the light of the first day means the all-embracing aether... But I cannot suppose that this was the very idea meant to be conveyed by the original author to those for whom he was writing. But I should be very sorry if an interpretation founded on a most conjectural scientific hypothesis were to get fastened to the text in Genesis ... The rate of change of scientific hypothesis is naturally much more rapid than that of Biblical interpretations, so that if an interpretation is founded on such an hypothesis, it may help to keep the hypothesis above ground long after it ought to be buried and forgotten. At the same time I think that each individual man should do all he can to impress his own mind with the extent, the order, and the unity of the universe, and should carry these ideas with him as he reads such passages as the 1st Chap. of the Ep. to Colossians (see Lightfoot on Colossians, p.182), just as enlarged conceptions of the extent and unity of the world of life may be of service to us in reading Psalm viii, Heb ii 6, etc. Thus Maxwell penetratingly criticizes the misuse of partial scientific knowledge to interpret scripture, let alone to shore up faith by supposed harmonization with the latest science. He has no need of scientific `proofs' of Christianity. Instead, his expressed concern is that ill-judged linking of specific scientific theories with religion will be an impediment to the growth of science. And his emphasis, in relating science and faith, is in science's enhancement of our wonder at the glory of creation. Certainly a much more enduring theme than the aether, which has long since been discarded! Figure 9: Maxwell in his later years. ... his illness drew out the whole heart and soul and spirit of the man: his firm and undoubting faith in the Incarnation and all its results; in the full sufficiency of the Atonement; in the work of the Holy Spirit. He had gauged and fathomed all the schemes and systems of philosophy, and had found them utterly empty and unsatisfying - "unworkable" was his own word about them - and he turned with simple faith to the Gospel of the Saviour. Fall asleep he did on November 5th 1879, and after services of remembrance at Cambridge was buried in the churchyard of Parton, near his beloved Glenlair. But his scientific work has proven enduring far beyond serving merely his own generation, marking him as a genius of the first rank - one formed and sustained in thought and life and death by the Christian faith. Martin Goldman, The Demon in the Aether, The Story of James Clerk Maxwell (1983) Paul Harris Publishing, Edinburgh, is the most recent full length biography, and also the most scholarly. It explores substantial background material about Edinburgh Academy and the philosophy of Edinburgh University in Maxwell's day, and provides an excellent modern summary of Maxwell's science. Ivan Tolstoy, James Clerk Maxwell, a Biography (1981) University of Chicago press. Engagingly written and very readable, it attempts (excessively) to counteract the "hagiographic" tendencies of Campbell and Garnet. Contains a helpful annotated bibliography. 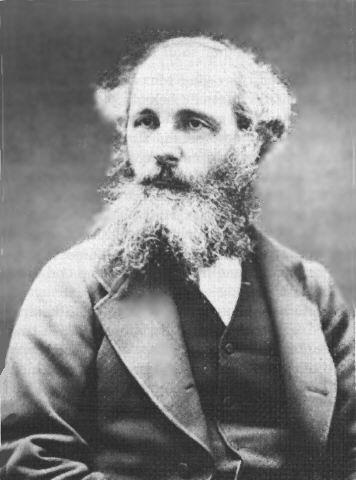 C.W.F.Everitt, James Clerk Maxwell, Physicist and Natural Philosopher 1975, Charles Scribner's, New York, devotes three quarters of its text to a summary of Maxwell's science, but contains previously unreported discussion of an attachment James had to his cousin Lizzie (gleefully taken up by Tolstoy as a potential scandal). E.Garber, S.G.Brush, and C.W.F.Everitt, (Eds) Maxwell on Molecules and Gases (1986) MIT press, Cambridge Massachusetts. A collection of sometimes hard-to-find Maxwell writings specifically on molecules. Paul Theerman, Am. J. Phys. 54, 312 (1986) James Clerk Maxwell and Religion is a paper focussing specifically on Maxwell's religion, which draws together most of the material in Campbell and Garnet, relating to the specific topic. The year 2006 is the 175th anniversary of Maxwell's birth, and a web site http://www.maxwellyear2006.org/ has been set up with a variety of events and information. © 1998, 2006 Ian H Hutchinson. 1That is, in a form based on local equations without reference to action-at-a-distance. File translated from TEX by TTHgold, version 3.71. On 18 Mar 2006, 10:48.